With winter still going strong and turning snowstorms into bomb cyclones, a trip to the beach felt more than necessary. 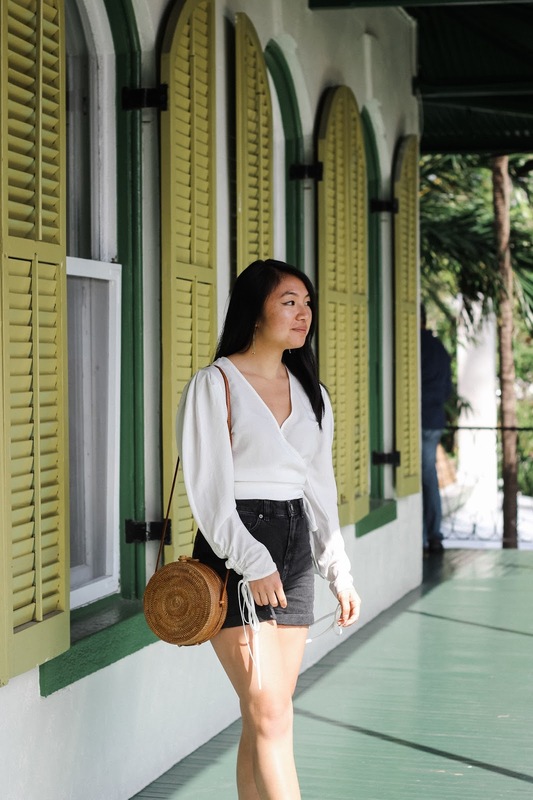 My family and I spent five days in January traveling between Miami and Key West to enjoy some Floridian sunshine before finishing out New York's greyest season. 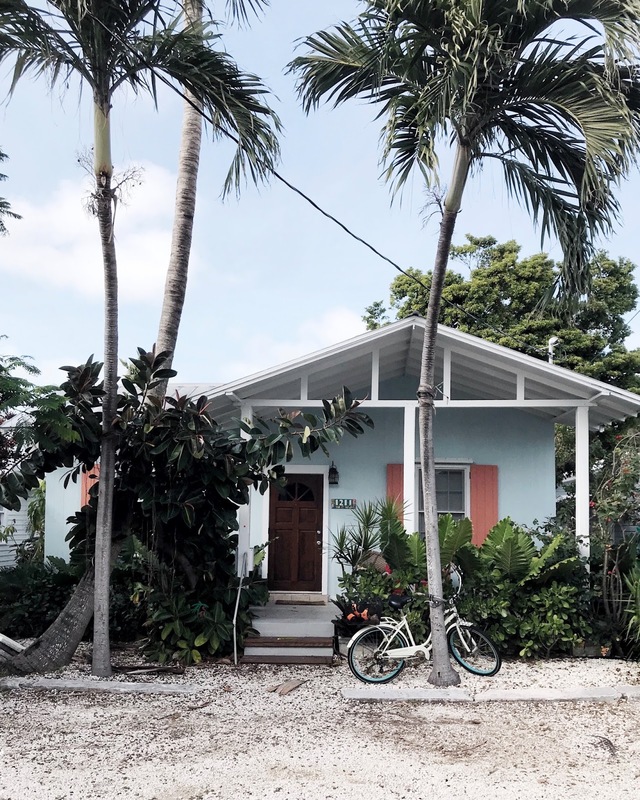 The Florida Keys had been on our travel lists for quite some time, with its mix of beautiful views and quirky charm and not much hassle to get there. 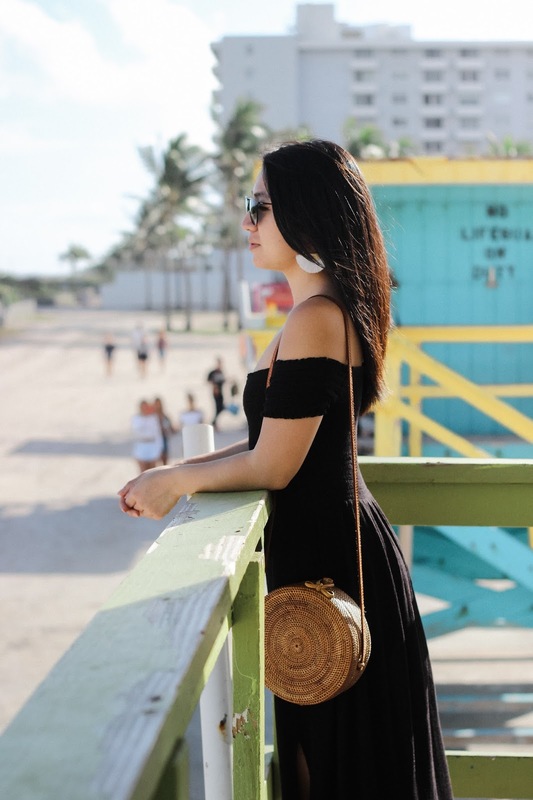 For anyone planning a quick east coast trip that rewards with relaxation, read on for highlights from our road trip through south Florida. 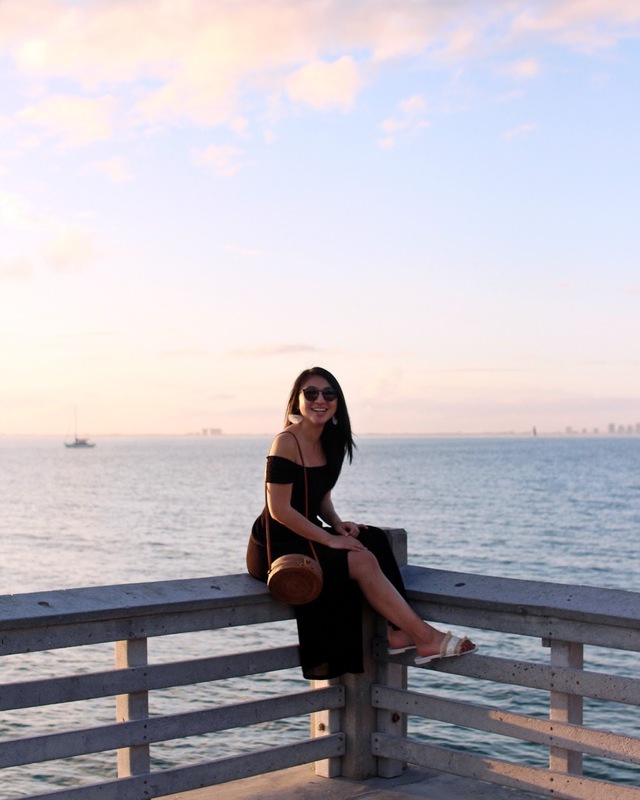 We flew into Miami International Airport late Wednesday night and spent the majority of Thursday exploring the city before driving down to Key West. I highly recommend reserving at least a half-day for this bustling city -- there is never a shortage of things to do (and eat). 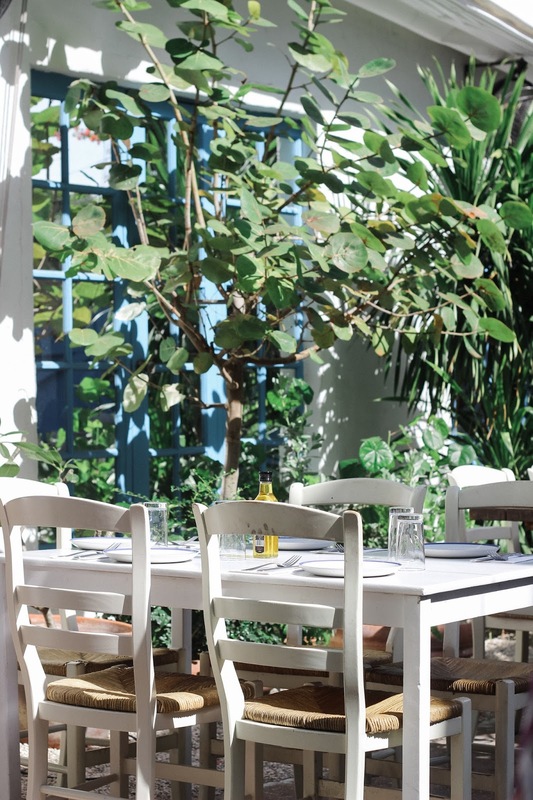 Start with breakfast at Wynwood's MIAM Café for a simple, but delicious wake up call. 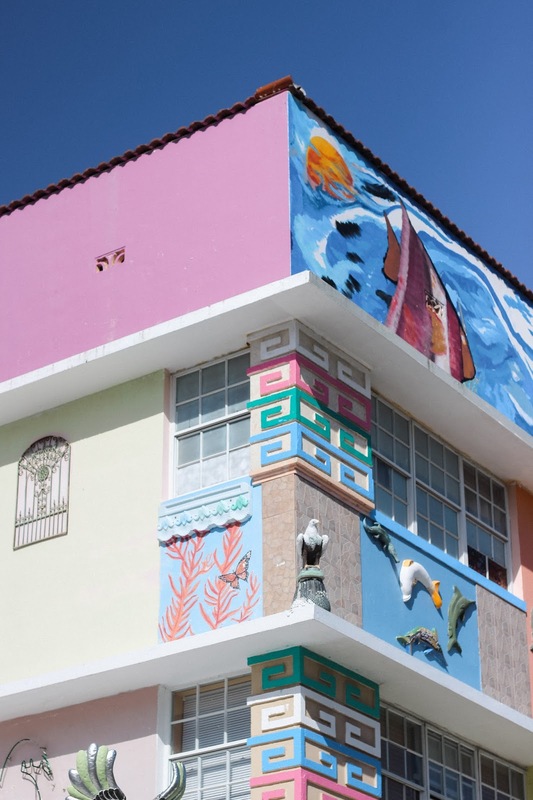 Feed your Instagram with photos at Wynwood Walls. 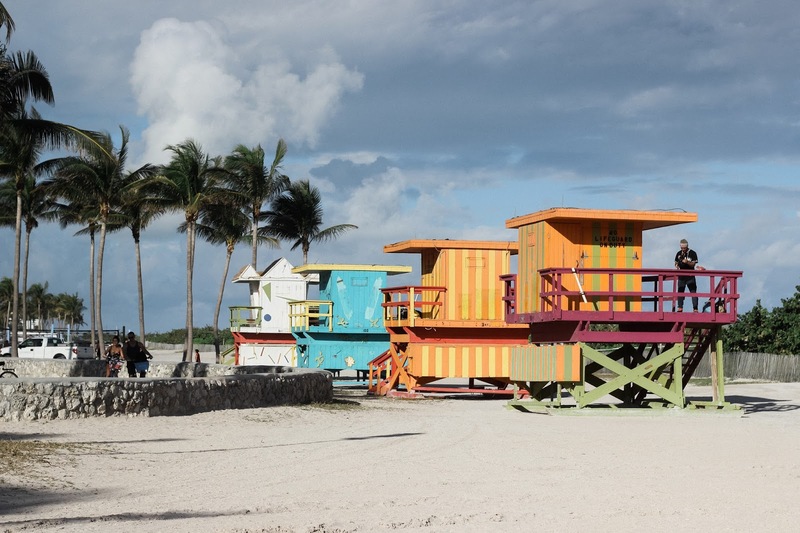 It is a must-see in Miami for any art and culture lovers looking for an activity outside of the beach. 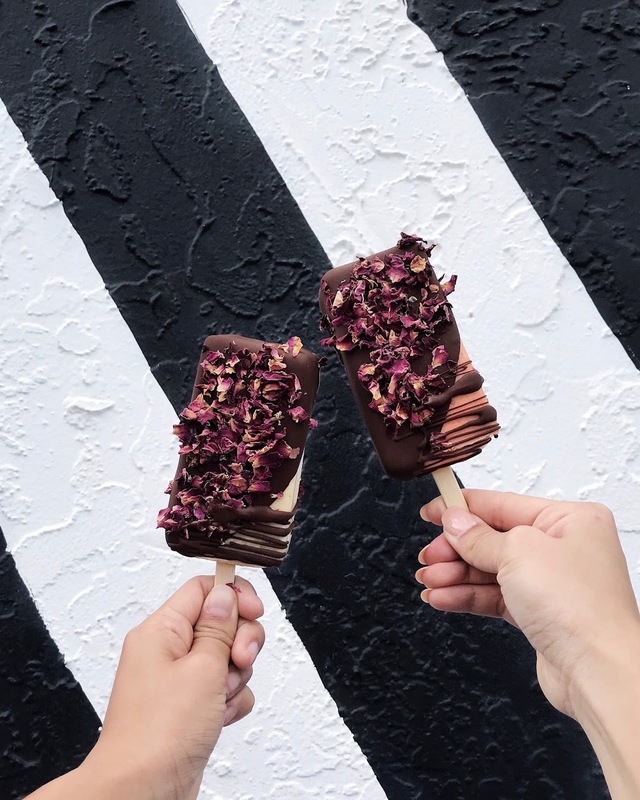 Snack on popsicles at Cielito Artisan Pops. Their popsicles are literal works of art. 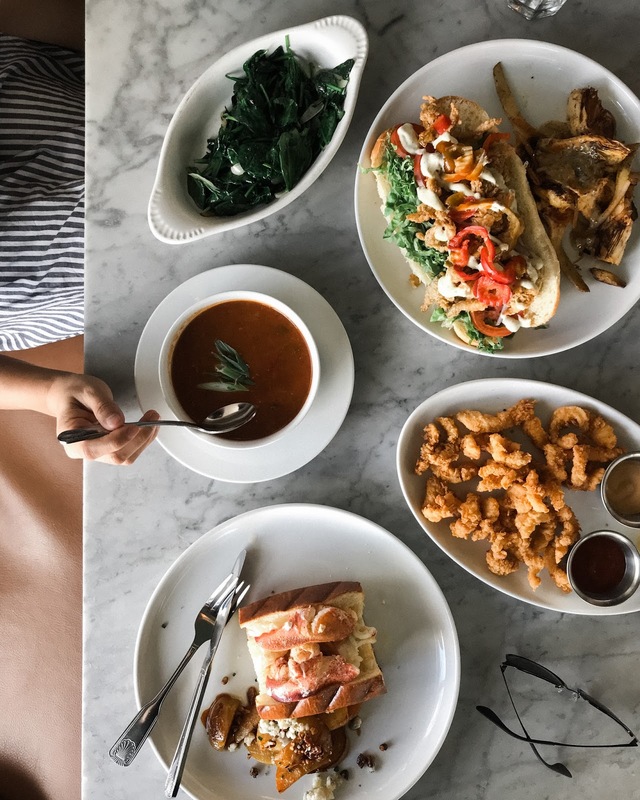 Grab a seafood lunch at Mignonette. I recommend trying conch if you haven't already! 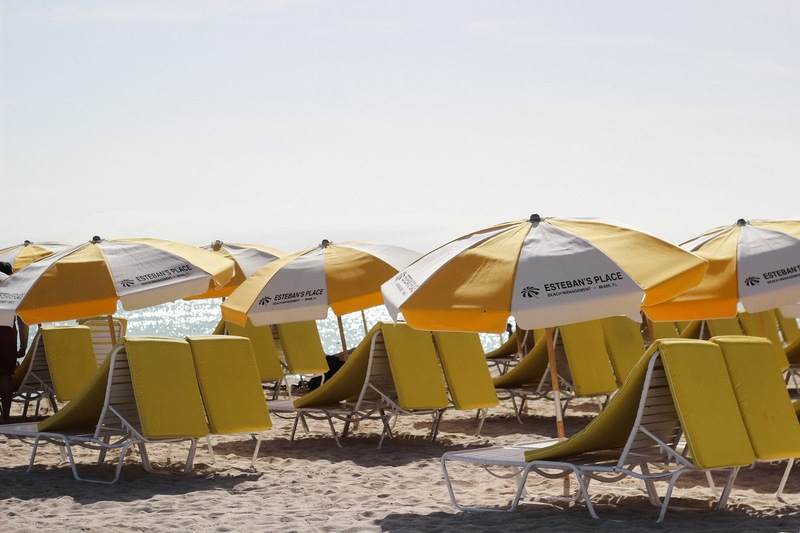 Work on your tan at South Beach, Miami's top destination (for good reason). Stroll Collins Avenue for a taste of some unique Art Deco architecture as well. Just before driving down to the Keys, we stopped at Key Biscayne's Bill Baggs Cape Florida State Park to catch a stunning sunset. Views like this never get old. We spent the rest of the evening driving down to our hotel in Tavernier (about 1.5 hrs away), with a dinner stop at Mrs. Mac's Kitchen for stone crab, conch, and the famous key lime pie. 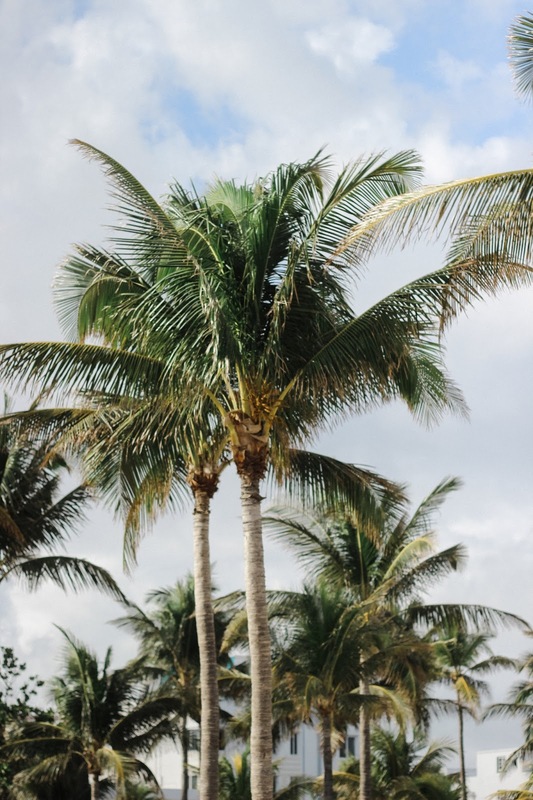 To save our energy, we chose to stay overnight at the Atlantic Bay Resort in Tavernier. It is a modest hotel with its own small stretch of beach, making it a relaxing midway point to Key West. 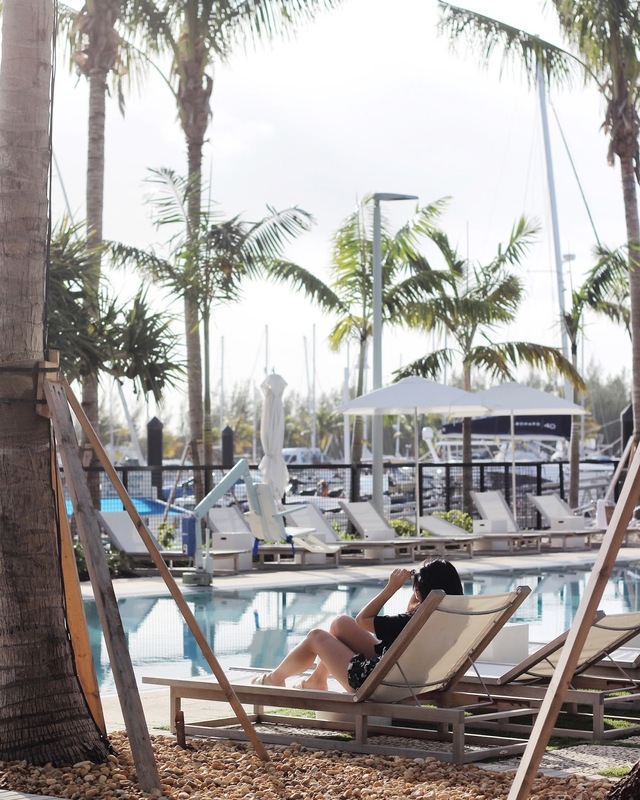 The name of the game in the Florida Keys is ultimate relaxation. Our first day was a slower one, as we wanted to leisurely explore the island without any time limitations. 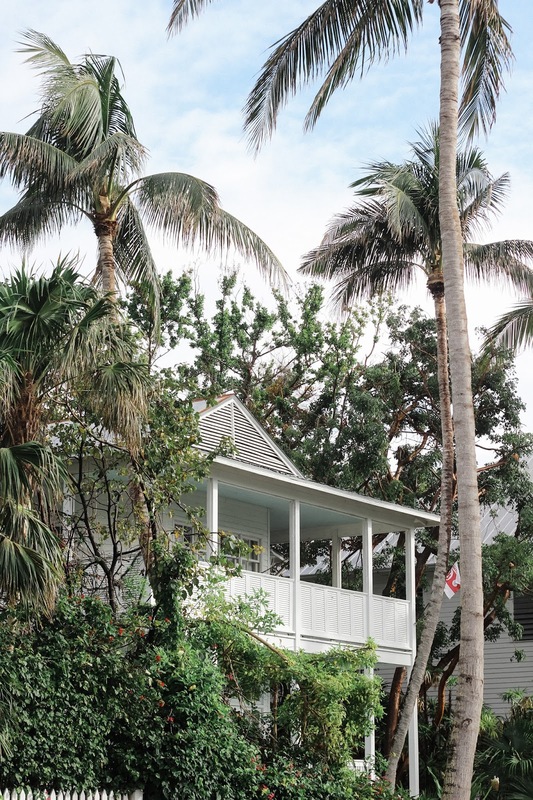 Unlike New York City, there is no sense of hurry in Key West -- in the best way possible. Grab fuel before the drive at Made 2 Order in Tavernier. 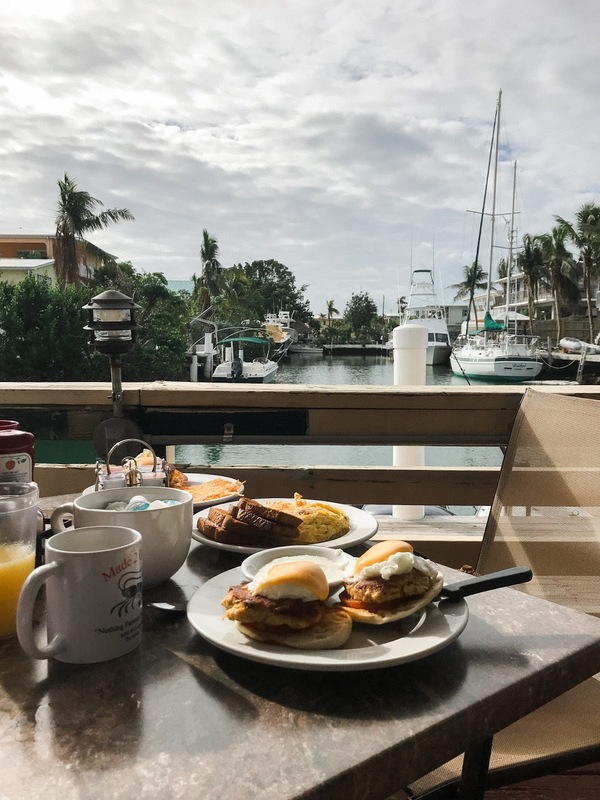 You can't beat the waterside views while you dine on a hearty breakfast. Arrive in Key West two hours later, after driving along the scenic highway and over the famous Seven Mile Bridge. Check-in at The Perry Hotel in Stock Island. This is a newer hotel situated about ten minutes away from central Key West. 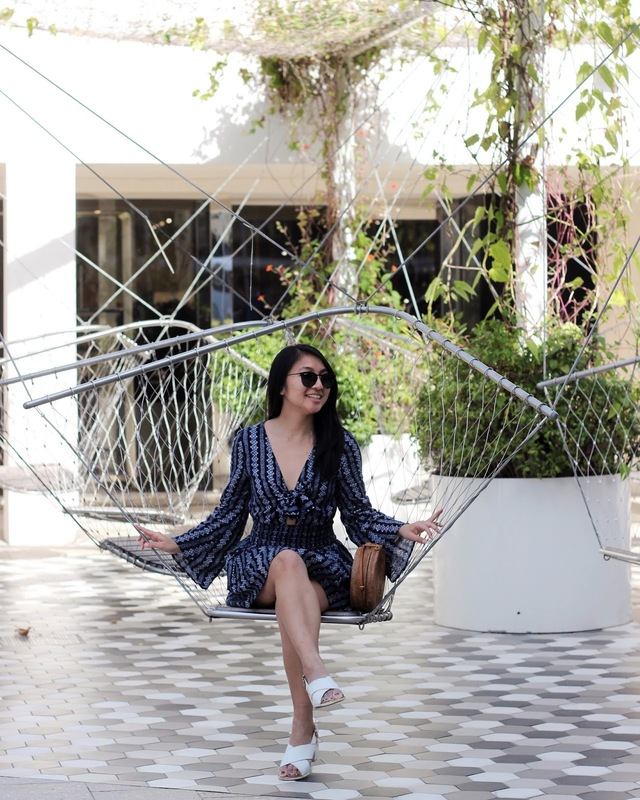 We loved our stay here for the modern amenities, gorgeous pool area, and ease of access to downtown. Experience a piece of history at the Truman Little White House. My family always schedules in a few cultural and historical activities on any trip, and in Key West that means visiting notable homes. The 30-minute tour here is brief, but very informative for anyone interested in history. Stroll with the tourists down Duval Street. 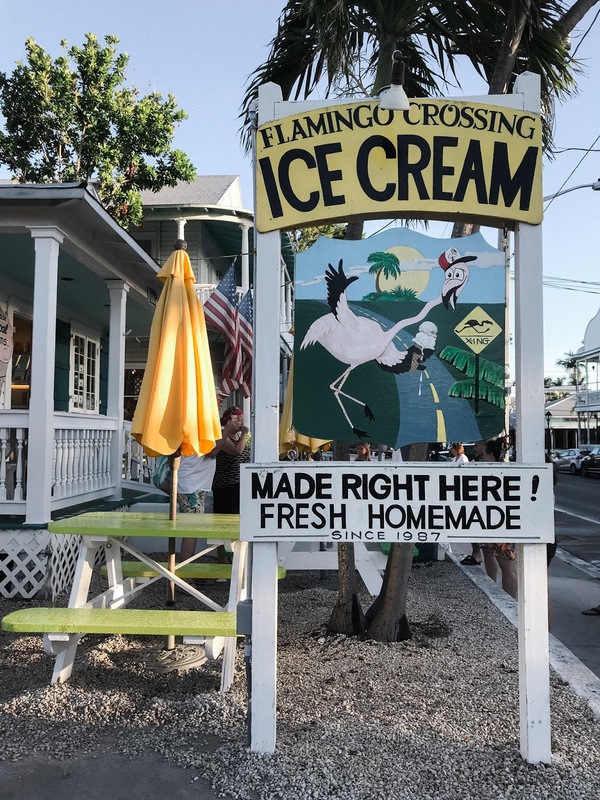 This is definitely the most tourist-concentrated street in Key West, but no visit is complete without stopping into its various stores and ice cream shops. 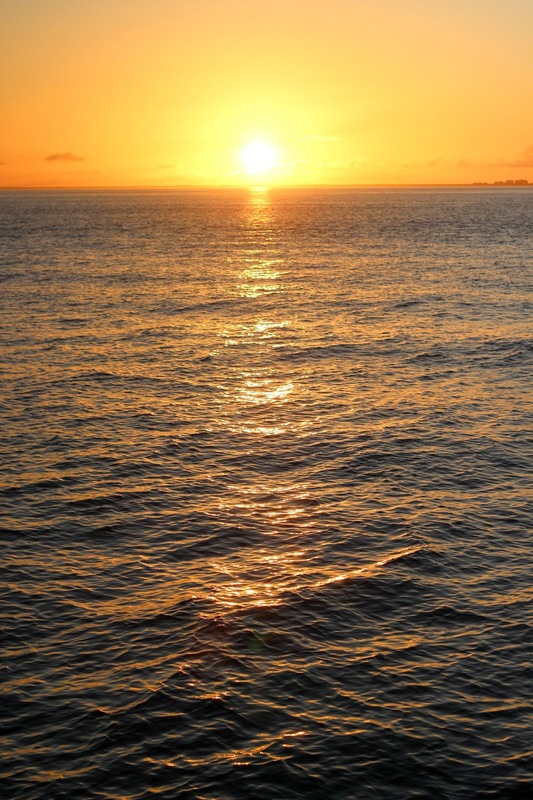 Catch sunset at Mallory Square - it is home to a daily sunset celebration, after all. 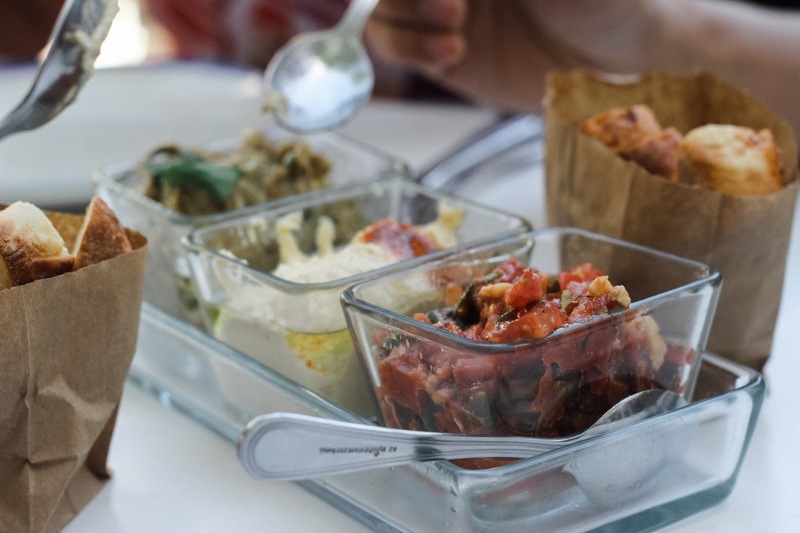 Indulge in tapas at Santago's Bodega. This was by far my favorite meal in The Keys! Most of our day was spent either enjoying or recovering from a morning jet ski tour around Key West. If you are looking for adventure, definitely sign up for one of these tours by jet ski, kayak, or paddleboard. It is the best way to see the island! Gear up for a two-hour jet ski tour with Key West Water Tours. There are several tour options around the island, but this one is closest to the Perry Hotel and the best value. We spent the morning circling the entire island of Key West, and I may or may not have taken an unintentional swim in the process. Regardless, this was my favorite part of the trip! Pro tip: the early morning tours are usually cheaper than any others during the day. Grab a casual lunch at Hurricane Hole Marina. If you join Key West Water Tours, they offer vouchers for free beer and discounted meals at this dockside restaurant. Lounge by the pool for the afternoon -- because after jet skiing, you will need it. Or, lounge by the seaside at Smathers and/or Higgs Beach. 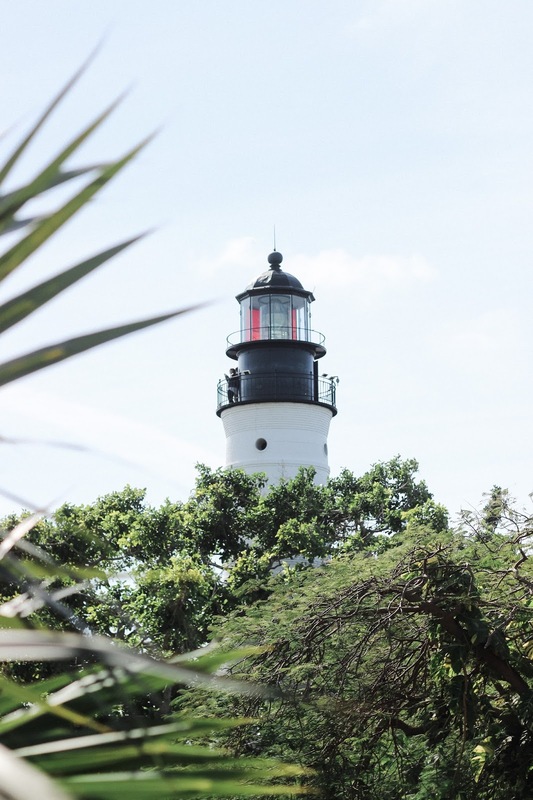 Key West is not known for its beaches, but its two main stretches are still worth a short stroll or bike ride. Dress up for dinner at Hot Tin Roof. We celebrated my parents' anniversary at this more upscale restaurant by Mallory Square. Time it correctly, and you'll even catch sunset while dining. To finish out our trip we visited what is likely Key West's most famous home, the former residence Ernest Hemingway. Even for those who are not interested in history, I highly recommend this visit to at least experience a beautiful Floridian home and its current residents -- almost 60 cats. About 60% of the cats have six toes on each paw, and 100% of them are adorable, I promise. Enjoy a flavorful southern brunch at Firefly. This was another favorite meal on the trip, although be prepared for a strong food coma afterwards. 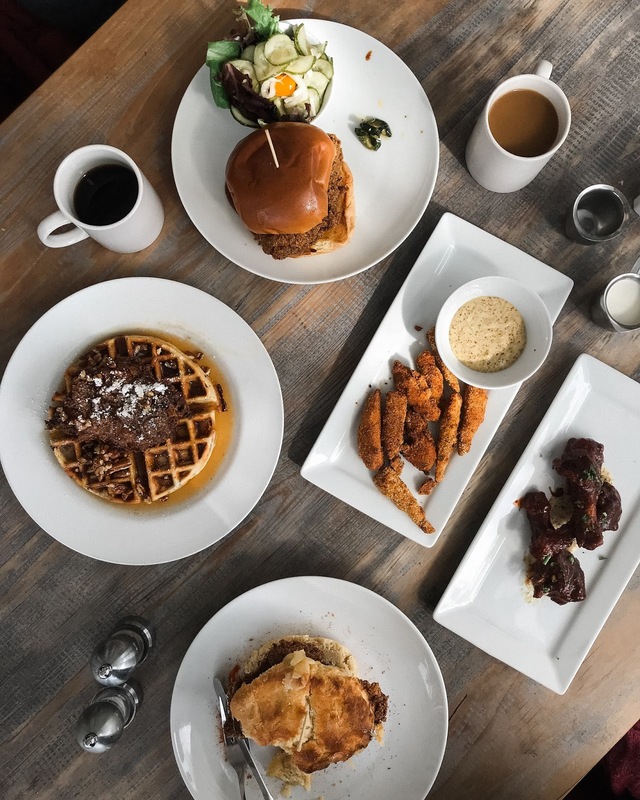 We indulged in everything from fried chicken and okra to buttery biscuits -- be sure to make a reservation. 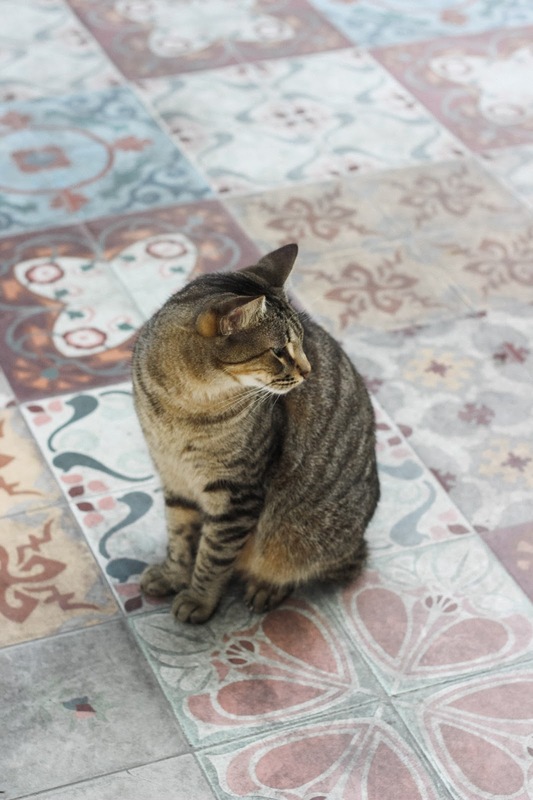 Step into history at Ernest Hemingway's former home and meet the adorable family of cats that still resides there. 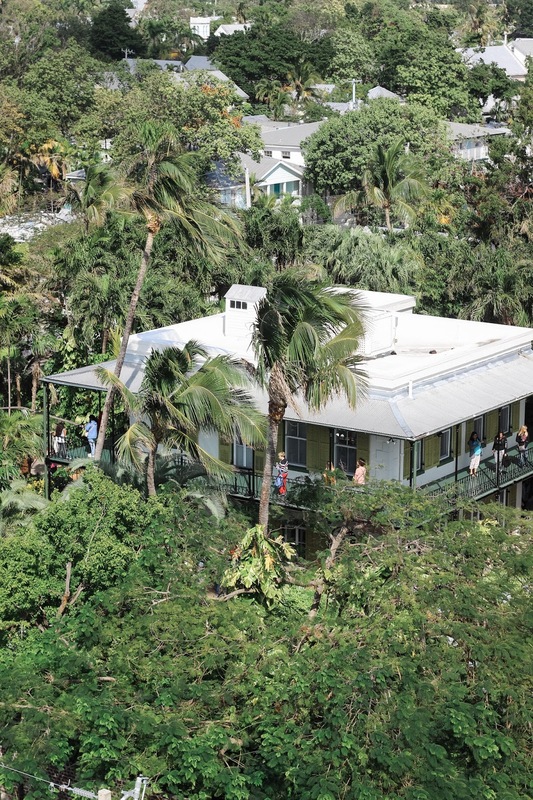 Exercise your way to a view over Key West at the Key West Lighthouse, across the street from Ernest Hemingway's home. Begin your return back up the Keys and towards Miami. We stayed overnight at the Atlantic Bay Resort once again to take a halfway break. Grab a dinner halfway at Skippers Dockside in Key Largo. 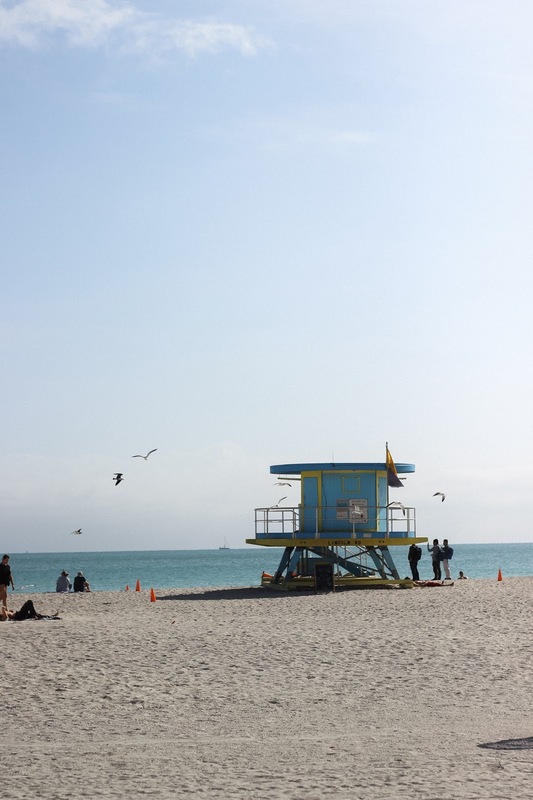 We took an early morning drive back to Miami from Tavernier in order to enjoy a few final hours in the sunshine state. Needless to say it was difficult to leave. 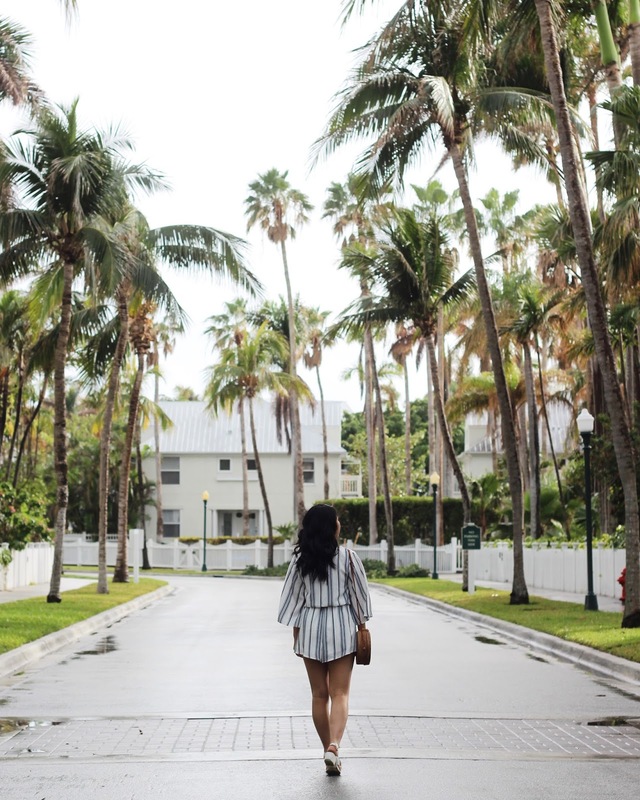 Take a stunning drive through "Millionaire's Row" on North Bay Road near Miami Beach. 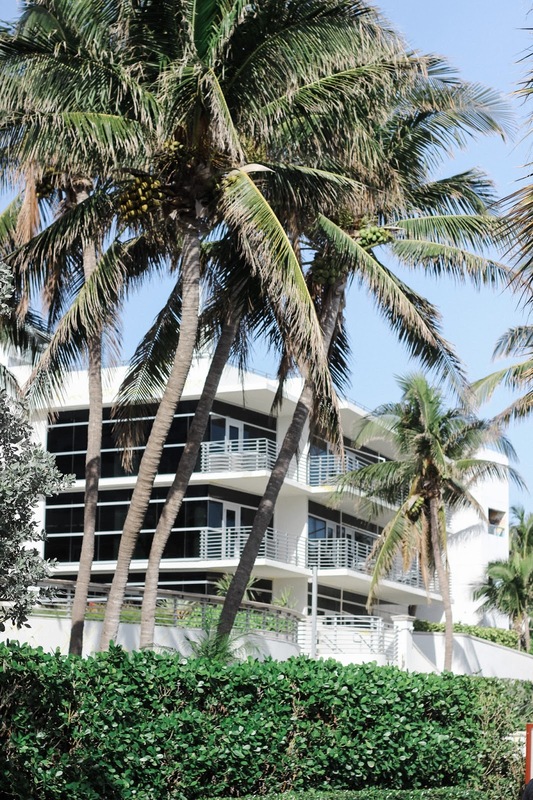 This street is home to some of Miami's most impressive (and expensive) mansions. 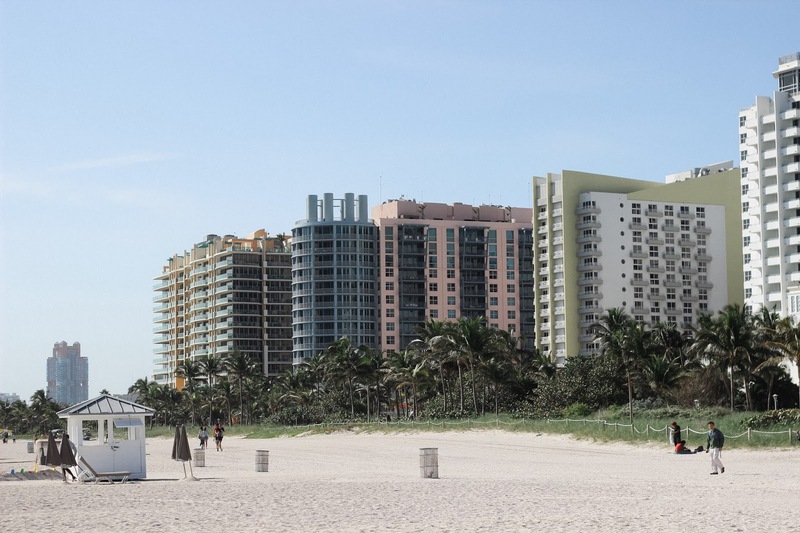 Enjoy a morning seaside stroll at South Beach, again. We had some time to kill before lunch and took a short walk on a different part of the beach. 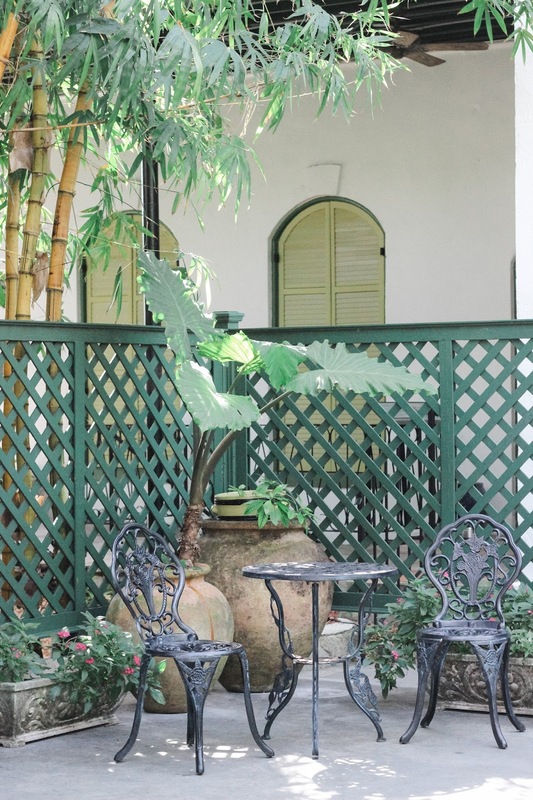 Explore Miami's upscale side in the design district. Although I can only dream of buying anything here, the design district is absolutely worth a visit. Its quiet pedestrian walkways are lined with unique art installations, including an adorable group of swinging chairs that led to us running late to lunch. 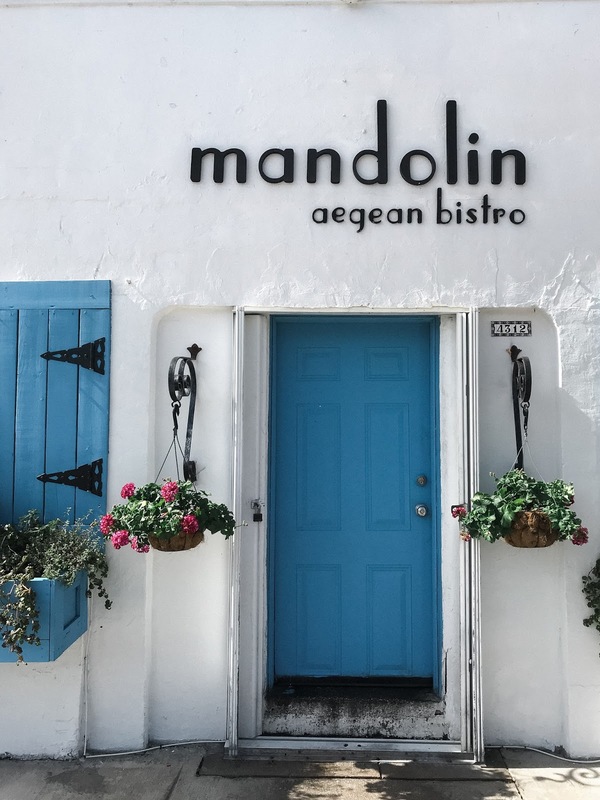 Go Greek at Mandolin Aegean Bistro for lunch. I will definitely be returning to this restaurant in the future! Everything from the authentic flavors to its lively outdoor patio was on point. Beautiful photos, that sunset is amazing!! Your outfits are so cute, you make me miss summer so much, I am looking forward to warmer days so I can wear my floral dresses and shorts!! Me too!! I am anxiously waiting for warm weather in NYC! Wow, these photos are amazing! It looks like it was such a beautiful trip! I definitely miss the weather and beach views! I love these photos! 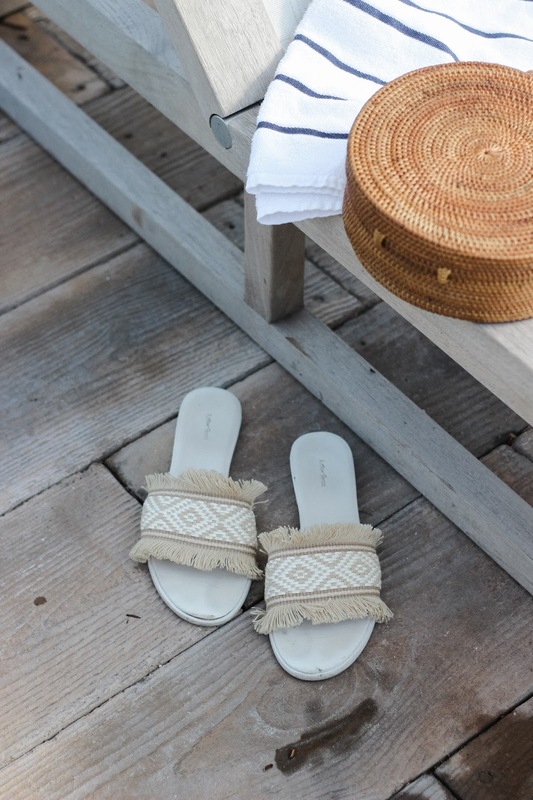 It sounds you had such a fun trip :) And as usual, your travel style's on point! Pretty good guide around Key West, I haven't been there but I can see it's a great escape especially on winter time. Love all your outfits and the food shots are fantastic. I hope you're able to visit sometime! Wow what a great capture. My family and I took a road trip to Key West from Albany Ga many years ago and enjoyed every minute of it. You look lovely girl!! Thank you so much!! That sounds like a great road trip. I definitely want to go back! Florida has a lot if beautiful spots. I love the outfits you selected for your key west and Miami trip. Beautiful place to spend vaccations.